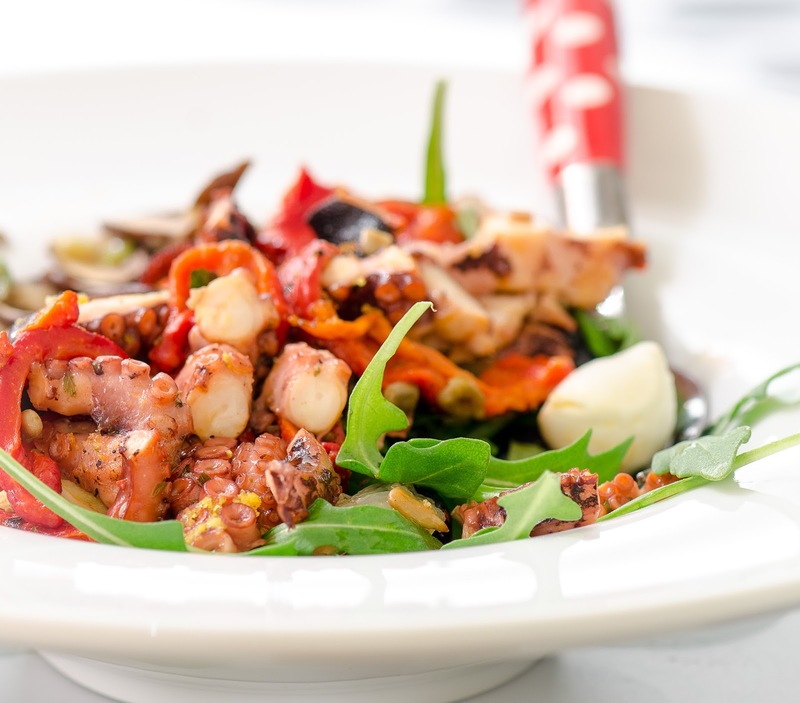 We have been adding octopus to all sorts of recipes. This time we purchased cooked octopus and roasted it with a mix of marinated vegetables. The marinated vegetables from the Italian grocery store were chopped up and mixed with the octopus and some lemon zest. Served over roquette with mini Bocconcini cheese, pieces of pan fried Portobello mushrooms, sunflower seeds and fresh grapefruit, this was a really easy and delicious salad to make.